Immerse yourself in the ultimate home theater experience with MINIX NEO U9-H. NEO U9-H is designed to bring a world of online entertainment to your living room; including web browsing, stunning Ultra High-Definition video playback and real-time streaming, access to popular media player apps, screen-casting capability, local media playback capability via USB port, Internet radio and audio streaming services, Skype along with other VoIP services, Android gaming and much more. Included with Minix NEO A3 Airmouse so you can enjoy the convenience of voice input when using the built-in microphone, giving you immediate access to information and content. Say goodbye to buffering, stuttering or freezing. Thanks to its 802.11ac 2 x 2 MIMO Dual-Band Wi-Fi and Gigabit Ethernet, NEO U9-H makes streaming what you love easy. 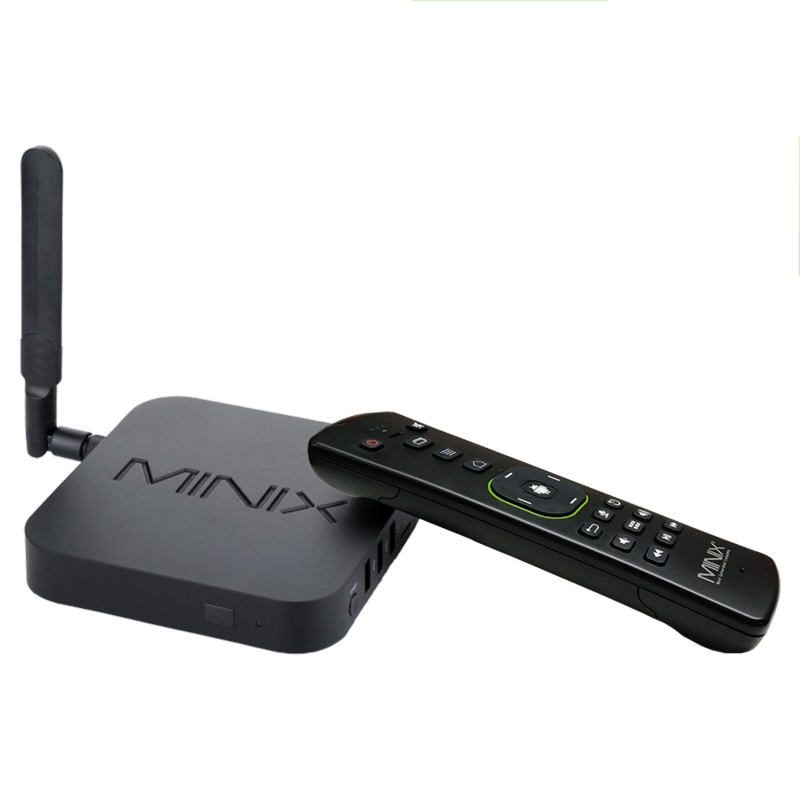 Whenever new features and functions are added, you can download them directly via the Minix F.O.T.A (Firmware-Over-The-Air) update system. So, the NEO U9-H you buy today will be even better tomorrow. Equipped with a powerful Octa Core processor and Android Marshmallow 6.0.1, the NEO U9-H gets you to your favourite shows and movies fast, with smooth and responsive navigation and apps that launch quickly. NEO U9-H’s innovative passive cooling solution prevents overheating no matter how strenuous the task, while operating in absolute silence.